Should Non-Muslims be Allowed to Enter Mosques? At any rate, the most correct view is that non-Muslims are allowed to enter mosques but under certain conditions. 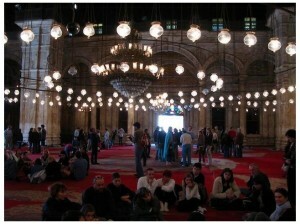 Those conditions revolve around the following matters: that they are given permission beforehand; that their entering is justifiable; that they are acquainted with the dos and don’ts inside the mosque, lest the mosque’s purity and sanctity might become violated; and that their whole stay and their activities inside the mosque are overseen by Muslims. Indeed, there are many pros and cons in relation to non-Muslims and their entering mosques. However, if properly perceived and effectively made use of, non-Muslims’ visiting and entering mosques could be turned into an excellent avenue and means of da’wah islamiyyah (propagation of and calling people to Islam). This is especially so today when a majority of the Muslim countries and their cities are flocked with non-Muslim visitors and tourists (or guests). This is especially relevant today, furthermore, when misconceptions and misinterpretations about Islam and Muslims abound, and when Muslims find it very hard to elucidate and dispel those errors and misunderstandings. More often than not, a number of both historic and modern mosques are the target of those people’s touristic visits and attention. 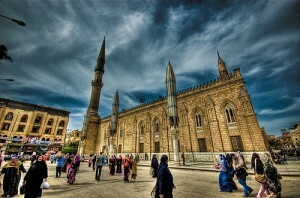 Visiting those mosques is a must on many non-Muslim visitors’ list of things to do. When they come to a Muslim country, most of them do so keen to witness, pay attention to and try to understand only authentic things and issues. After all, they pay handsomely for what they are up to. Muslims do not have to go to non-Muslims to tell them what Islam actually is, and what and who they actually are. In fact, non-Muslims keep thronging to Muslims’ midst, so Muslims must make the most of the superb opportunity at hand to promote Islam’s and their cause. 1 Mahmud b. Husayn al-Hariri, Ahkam al-Masajid fi al-Islam, (Riyadh: Dar al-Rifa’i, 1990), p. 289.
agencies who will be with the visitors (guests) most of the time from the moment they arrive till they depart — who should speak fluently a couple of leading world languages. When a group of non-Muslim visitors come to a mosque, a guide will warmly, politely and intelligently welcome them and then accurately and scientifically explain to them about the mosque and what it stands for, and about anything else Islamic which may appear relevant to a particular group of people, or which may pop up during the visit and during the ensuing interactions and conversations between a guide and the mosque visitors. Plenty of free pamphlets and other reading materials in various languages should be made available and distributed to the visitors as per their needs and interests. 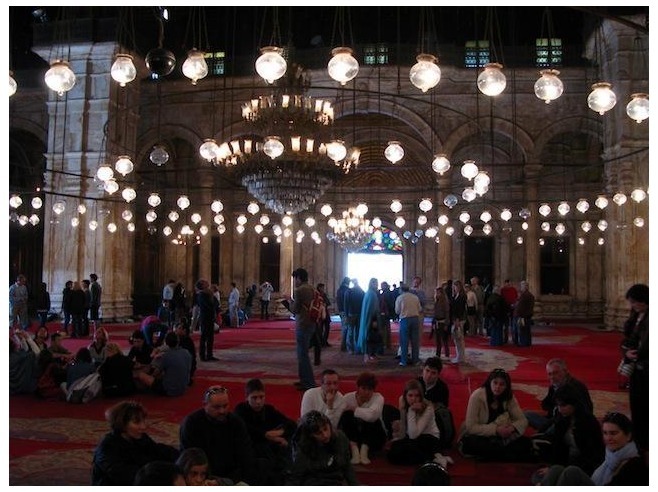 The management of a mosque should strive to spur the curiosity and interest of the visitors, leaving then no query or need of theirs unfulfilled or unattended to. The visitors should up to designated points be admitted inside mosques, after having been duly informed of, and after having duly complied with, a code of ethics for doing so. Just properly explaining a code of ethics for visiting mosques, which is always bound to trigger a host of questions, in a casual way furnishes visiting non-Muslims with lots of information and truths about Islam and Muslims. Besides doing a great service to Islam, this way a great service to the country and the government will be rendered as well, as many job opportunities will open up, resulting in the tourism industry to become even more meaningful, interesting, thrilling and of course more profitable for all the parties involved. Even non-Muslim visitors and tourists will appreciate the trend, as they will be exposed to, and acquainted with, the real things and genuine issues, and so will get value for their money. The tourism industry thus must not be spoken of only as a great revenue source, but also as a great source and means of enhancing the reputation of Islam and Muslims in the eyes of non-Muslims. The tourism industry is to be turned into a great source, strategy and means of da’wah islamiyyah, with the mosque institution at its heart, which if properly optimized has the potential to yield arguably more benefits than a great many conventional, but more challenging and more costly, da’wah islamiyyah sources, strategies and means. This verse stipulates that when for legitimate purposes non-Muslims in general visit Muslims and Muslim lands, both in war and peace, they are to be granted absolute protection and be treated with respect. At the same time, they are to be exposed to the truth and light of Islam as much as possible, and to be provided with enough opportunities to hear, understand and witness the powerful impact of the Word (revelation or the Qur’an) of Allah on the lives of Muslims. Truly, there is no better place for fulfilling this task than the realm of the phenomenon of the mosque, and there are no better people to do it than those who patronize the mosque in their hearts, minds and deeds. Moreover, as far as those non-Muslims who peacefully on a permanent basis co-exist with Muslims are concerned, they too are to enjoy on a permanent basis absolute protection and respect from Muslims, and are likewise to be exposed to the truth and light of Islam on a permanent basis. This is to be achieved, most effectively indeed, through the ways Muslims live their virtuous lives and their institutions operate for their own and for the universal good, rather than through mere words, or slogans, or symbols, which are not backed by concrete initiatives, actions and tangible results. 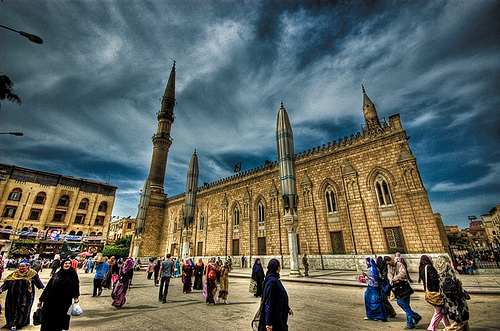 Here, again, the role of the mosque institution as a community center and as a symbol and microcosm of Islam and the Muslim existence, will always be paramount. Not exposing wisely and effectively non-Muslims to the light and guidance of Islam is a serious spiritual failing in Muslims. It also signifies a serious act of injustice being inflicted on non-Muslims.